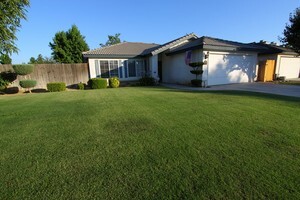 You will not want to miss out on this adorable, light and bright Northwest Bakersfield home. Featuring a great room setting with gorgeous fireplace, beautiful laminate floors, adorable vegetable garden and fruit trees. All this and more on a large corner lot. Make your appointment today before it's history.